A Look Inside American’s New Transcon Airplane — But How Long Will It Fly Like This? Last week, American began showing off the newest addition to its fleet, the A321T. No, that’s not a new variant of Airbus’s A321. It’s the specially-outfitted aircraft that will fly exclusively between New York/JFK and both LA and San Francisco. While it’s nice on the inside, I’m far from convinced it’s going to make any money for the airline with so few seats onboard. This new configuration may be short-lived, especially with new management at the helm. Think of this move by American as effectively what United did a decade ago. In the LA/SF – JFK markets, United realized there was a ton of premium traffic, more than in any other domestic market. At the same time, coach fares were in the toilet. So United retired its big 767-200s in favor of a slimmed down 757 under the “p.s” (premium service) banner. That service had 12 First Class seats, 26 Business Class seats, and 72 Economy Plus seats for a total of only 110 seats. The plan worked wonders as coach fares spiked without having to sacrifice the premium cabin. Profitability improved. Now look at American. It will retire its now much older 767-200s in favor of the A321. This airplane is similar to a 757 and will have 10 First Class seats, 20 Business Class seats, 36 Main Cabin Extra seats, and 36 regular coach seats for a total of 102 seats. That is not a lot, and the market today is different than it was a decade ago. In particular, Hollywood contracts used to require First Class. Now Business Class is generally allowed. That pushed United to eliminate First Class on p.s. and replace it with 28 fully flat Business Class seats instead. It also replaced the 72 Economy Plus seats with 42 Economy Plus and 72 coach seats for a total of 142 seats on the airplane. That’s a big difference. But American remains convinced that it can continue to go super-premium in this market. The 10 First Class seats may look familiar. That’s because they’re basically the same as what American is installing in Business Class on its international fleet. (See my trip report to London in those seats.) It has been modified to fit on the A321 so the finishes are a bit different (and there’s a gap between the seat and the wall), but it’s a great seat. It also takes up a lot of real estate. With American now being the only airline with a First Class product on the route, it could work. Other airlines have suggested to me that new flat bed Business Class products make First Class obsolete, but those airlines fail to take ego into account. And there is a lot of ego flying between the coasts. I’m not sure there’s enough to fill 10 seats on every flight, however. American doesn’t have this seat anywhere else in its system, but it decided that the need for more dense flat beds vs First Class were important. That is just one more reason why this is a risky decision. JetBlue is about to launch Mint next year, a much lower cost business offering. That could mean that fares will drop a lot. And while American is relying on Business Class to generate some serious cash to keep this airplane flying profitably, that may be a more difficult proposition than previously imagined. Back in coach, there are 36 Main Cabin Extra (more legroom) seats and 36 regular coach seats, but there are just a lot fewer seats compared to today. In fact, American will have more than 40 percent fewer coach seats on each flight. That’s a dramatic cut, and it probably made sense a few years ago when fares were in the toilet. But now, I wonder if the airline has cut too much. The seats themselves are nice. It’s interesting to note that American has gone with cloth instead of leather seating here. That’s because on long haul airplanes, American thinks cloth seats are better since they breathe more and prevent you from sliding. I tend to agree. Most airlines have moved away from cloth because it’s simply harder and more expensive to keep clean and maintain. Leather is easier. The seat has the same setup as United’s new slimline seats where the seatback pocket gets moved up. (See my trip report on that seat from Chicago.) As you can see below, there are some differences. The biggest difference is, of course, that American has installed in-seat video monitors. Because of that, the tray table sits lower and is a half-tray table that folds open when you pull it down. That’s not an issue. Legroom wasn’t an issue, and of course, neither was personal space in Main Cabin Extra. But I plopped myself down to try out the regular coach seats. With nobody in front of me, I was able to wedge my laptop in underneath the lip (see above) and it was great. But if you put someone in that seat in front of me, that probably pushes it back making it more difficult. And if that person reclines, then I’m screwed. In the end, was it nice? Of course, but nobody ever doubted that would be the case. The big question is whether or not the airline can make money in this configuration. I would be surprised if this lasted. 17 Responses to A Look Inside American’s New Transcon Airplane — But How Long Will It Fly Like This? Ben in DC – You could go with fewer rows of First Class but Alex says, the 10 seats creates a more private cabin. That’s probably why they did it. Personally, I’d say just throw a little bulkhead in there and add a few rows of biz in there, moving that biz cabin forward and creating more room for extra legroom in the back. I totally agree on the cloth seats–one reason I prefer flying AA. Leather seats make me sweat! Front cabin ego between JFK and LAX/SFO is a good point, but those actually paying for the product are sitting with a bunch of people who just upgraded into the front cabin. The super rich ego just fly private jets so it seems to me a smaller F-cabin would please egos more since less people in the cabin makes them feel more special and that they are getting better service and more importantly, not sitting with the upgraded peons of the world. Airlines need to remember ego likes to be above everyone one else and have a smaller cabin on major routes and not upgrade anyone into that cabin if someone who actually paid for first class is sitting there. David – There is plenty of ego that wants people to know how important they are. And that means flying First Class commercial so those in business can bow down to them. Did American go with the slide forward seats in coach? If they did you may be ok with keeping the laptop open in flight. Pilotaaron1 – It’s funny, I didn’t even think to recline. 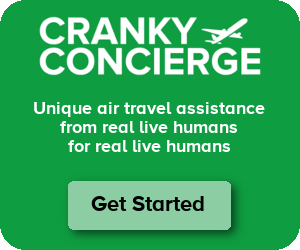 Cranky-hear what you are saying about to few seats, risky move etc.However, one thing to remember-this is a legacy A321, not the new NEO, and all 320 family members have some trouble doing US Transcon going Westbound especially in Winter. Could be AA determined this is about the max number of seats and Passengers the 321 can carry and not have to stop for fuel along the way. George – The A321s have not had the same kinds of problems they used to thanks to improvements. US Airways is consistently running them on routes like Philly-LAX with 187 seats filled up. AA could easily have fit more than 102 seats onboard. Twas the day before Christmas, when…some folks are still working! Best wishes for the rest of the year and the next. It’s 10 F seats in front of the second door, right? That creates a separate F cabin, and it also makes removing a couple rows of F and replacing them with business geometrically difficult. My impression is that’s the reason they went with 10 F seats. Maybe they would have preferred more like 6, but the geometry is tough. The issue is corporate contracts. The new 321may land some new contracts. The riddle is how big are the discounts going to be? The actual traveler may be forced on AA due company policy. The gravy will be the actual full fare passengers. PAArker Airlines will be making this aircraft more dense within 2 years. It will probably be bye-bye F and a configuration closer to UA’s ps aircraft. The other comparison that can be made, rather than AA to the former United PS product, is AA in a few months to AA today – these planes are replacing the 767-200s currently on those routes that have 10 first class seats and 30 business class seats. Is it really so big of a change from that to the 321T numbers of 10 first 20 business? They’re not changing strategies so much as adapting a current (successful I presume) strategy to a new aircraft which is bound to be cheaper to operate and down for repair less often than the 762 fleet. Now the coach figures seem like a more dramatic change 128 (if that is still the number on the 762, it may have gone done a bit if they installed main cabin extra on those birds) to 72 on the A321T. But NY to LA is a business heavy route according to everythign I’ve ever heard about it, and many companies will let you book business over a certain time or milage level, which the trans con probably meets. So maybe they don’t need so many coach seats. Or maybe the new 321 will go mechanical less often and mean you don’t need as many seats to accommodate the same number of people. JohnG – Well they are changing strategies to some extent in that they are walking away from coach class, just as United did long ago. But the difference is that coach today is much more lucrative than it used to be. Coach capacity is down a lot in this market. While I think the 767s were probably too many seats, they may have cut too much. The A321 may not be a big gas guzzler, but it is a brand new airplane so the ownership costs are fairly high. Maybe this will work out, but I’m still skeptical. It will be fun to see what the new mgmt team does. What the Heck is Delta Doing in Seattle?